Set on the banks of the Klaserie River, which flows throughout the year, the seven luxury tents and five exclusive suites that make up Kapama Karula "the place of peace" are in every way true to their name. The river glides smoothly forming sparkling pools that attract smaller riverine animals and a myriad of birds in every season. This extraordinary camp, based on the recently acquired Gwalagwala Camp, has now been rebuilt into one of the finest camps in many respects. 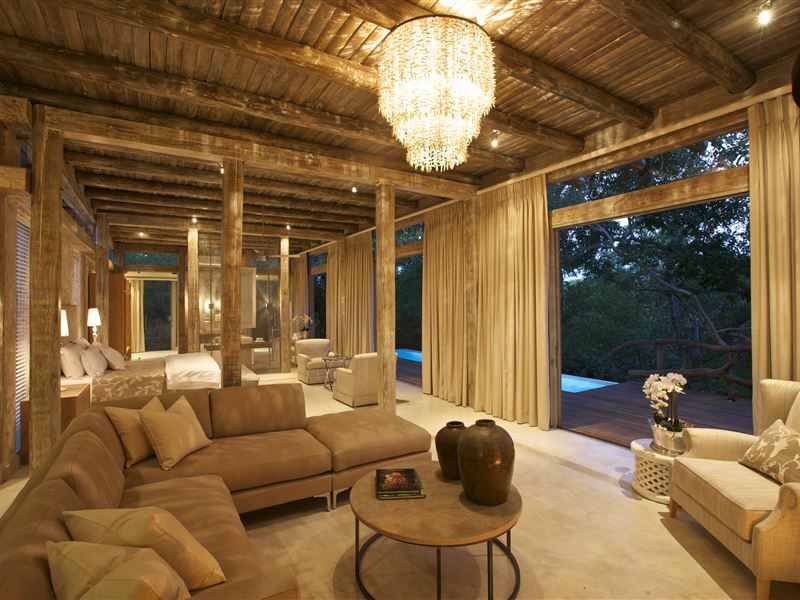 Consisting of seven luxury air-conditioned tents and five large exclusive suites that are the epitome of luxury, each with a his and hers basin, inside and outside shower and sliding glass doors that will wrap around the suite to offer the guest the opportunity to have unrestricted views onto one of the most sought after locations the Klaserie River. 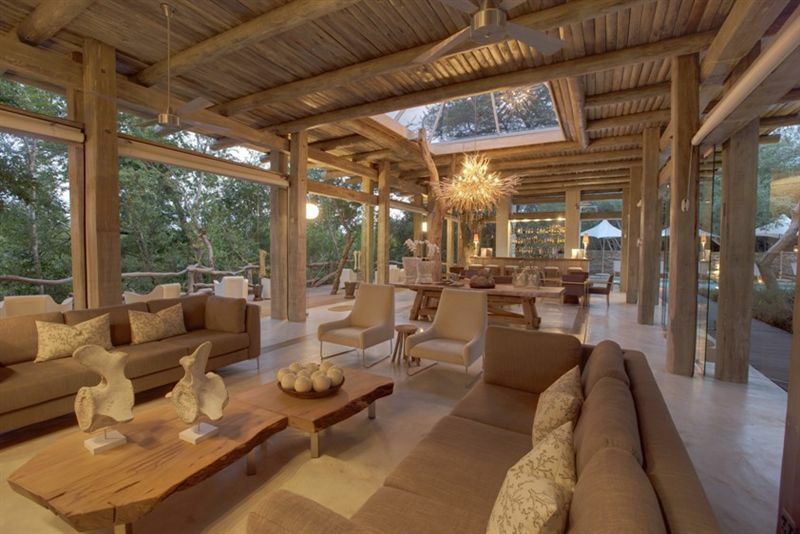 "Kapama Karula a truly AMAZING place! Absolutely Stunning! Most Friendly staff! Up close and personal with big 5 just an Amazing experience! I&apos;ll give them 6/5 stars!! Ideal Romatic gettaway!!" "How about that as a break?" 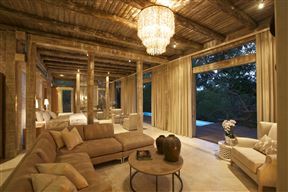 "Hi there, Gwalagwala is an absolute fabulous stay especially if you like to experience the bush to its fullest. We were welcomed by Roxy and Nardia who spoilt us rotten with their drinks and chats. Nardia especially a thumbs up. Collen was a great companion with regards to the bush. The first game drive in the car was fantastic and we could ask questions and received loads of information. The bush walk the next day was a bit long for my parents who joined us, but nevertheless, wonderful to experience. The game drive in the morning was the best with the spotting of the cheetah, lions and herd of lions. A excellent place to go to and thank you to Dorian and Ann for their quick responses via email!" "Accommodations are most comfortable and convenient; meals( food and atmosphere) were excellent; big 5 were there (4/5 on day one in pm,and 5/5 on day 2 in am); owners and personnel are fantastic. We have superb souvenirs from our trip to SA, but GwalaGwala is the best!" "Excellent! Great food , perfect accommodation, really nice hosts and staff!" "We had an excellent time with the people at GwalaGwala. The service was superb and exceeded our expectations. We are planning on returning.Thanks to everyone at GwalaGwala for making Anna's first experience in South Africa one that she will never forget." "We stayed at Gwalagwala for 2 nights in Feb.We were delighted with every aspect of our stay.We arrived there, to be welcomed by Anne and Frank, who showed us to our accommodation, which we where more than happy with.Our tent was immaculate, and furnished to a very high standard, the victorian bath was an unexpected treat!The big five game drives we were taken on where superb, we spotted the big 5 on both of our drives.The food that we where given during our stay was exceptional, and the company of Anne and her Husband was enjoyable.Would recommend this as a good value for money place to stay." "We really did enjoy Gwalagwala. 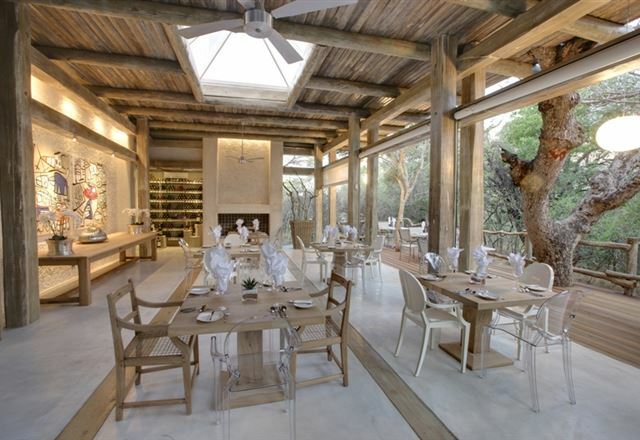 An intimate setting, with attention to detail, and a relaxed attitude, that is very inviting. We will recommend it to our friends. Our stay was too short to really experience everything on offer, but our brief sample was enticing, many thanks. Dinner was a little average, but you are not selling yourself as a cullinary experience so not really a problem." "Host and staff were excellent. Arrived as guests and left as friends." "During our 3 day stay at Gwalagwala we had viewed all the "Big Five" at the end of our second day.....the remaining animal views were gravy.The accommodations were just as described on the web site and met all of our expectations.The personable staff and setting attributed to a fulfilling once in a lifetime experience of our safari." 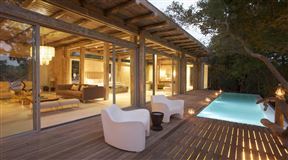 "Good mixture of big 5 and small animals"
"We spent three days in a very relaxed environment. We were very well received from the first minute. 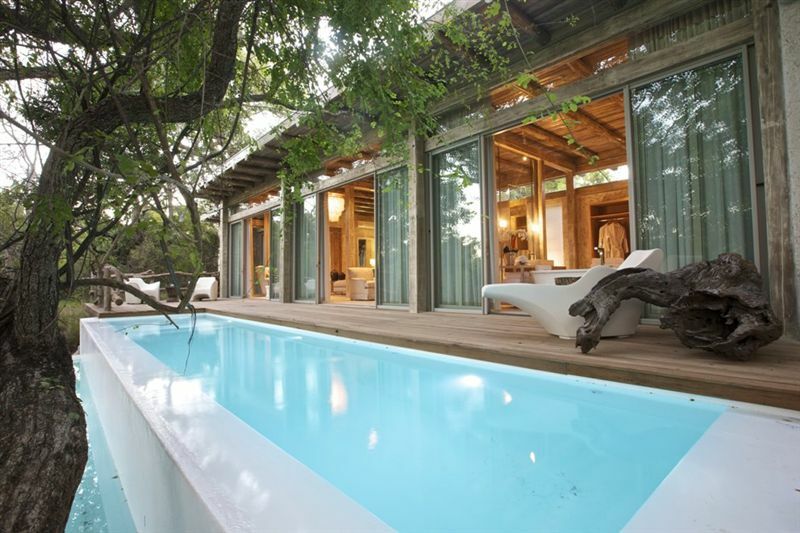 The lodge is quite small which get you toknow the other guests and staff very well, without interfering with privacy. The game drives were very good and we managed to see the big 5 on a nearby game reserve. In Gwalagwala we went for bushwalks with our guides as well as gamedrives to focus more on the Gwalagwala reserve. The bushwalks gave us opportunity to see the small things like antlions, scratchmarks from a leopard and close encounters with giraffes, well presented by the excellent guides." "Our stay at Gwalagwala was exactly what i had in mind when i started planning a short holiday in the bush....especially the game drive we took...and i must mention the overall friendliness of the staff especially Jean and Pierre...i have already recommended Gwalagwala to some of my friends....thanx for everything." "The overall experience was wonderful, Ann and Dorian were hospitable and welcoming and made our stay memorable.As it was a suprise 60th birthday gift for my husband they decorated the boma areas and made a cake.Our wedding anniversary was the next day and they even decorated the tent for us.Their cook and ranger were a delightful couple and both were very knowledgable.We considered it very good value for money and would certainly visit again.The reservation was very simple and went without a hitch. " "We had a fantastic time.The lodge was superb and so was the food.The people was marvellous and we met some interesting characters.Thanks so much!" "The camp/tents, the people, the animals, and the service could not have been better. From the giraffes, zebras, wart hogs, and impala's that greeted us on the way in, to the leopards that ran in front of our car on the way out, and everything in between ... it was absolutely perfect. Ann and Dorian make you truly feel like family and give you insight into South Africa and the challenges of maintaining a game reserve. Jonathan was a perfect guide with incredible knowledge about plants, animals, and insects.Jackie prepared amazing meals for us, including the huge boxed breakfast they packed for our early morning departure.The Big Five Game drives were EXCELLENT and gave us close encounters with all FIVE of the most dangerous animals in the bush. I really can't say enough good about our experince, other than it was perfect! We can't wait to go back and would recommend it highly to anyone and everyone!" "GwalaGwala, a fantastic place where we spent 3 nights and would happily return and will be advising all our friends to stay if ever going on safari in Kruger.Anne and Dorian the owners /hosts and their staff made us feel so welcome and relaxed.The wonderful thing about Gwala was being amongst game but safe to go walking on our own, plus being a camp of only 6 tents (luxury tents!!) we were always treated like visiting special friends more than paying guests.The food was excellent (thanks Jackie) and the mid-day cakes a joy.All your needs are catered for and if a private romantic dinner is what you think will make your stay special do not hesitate to ask, two of our fellow guests did this without us ever knowing.You will however mss out on the wonderful company and conversation of Anne and Dorian.During our stay we enjoyed 3 early morning guided walks with Johnathan, Gwala’s own Ranger who taught us more than we can hope to remember, and 3 very exciting and varied game drives spotting 4 of the big 5 in the nearby Thornybush private reserve, all arranged by Gwala without fuss and with sufficient time between events to unwind as if in total isolation of the African bush.. JUST ENJOY." "We were so inspired by the beauty and peace in Gwalagwala. The birds woke us up and the night animals sang us to sleep. The hosts are wonderful friends and the service is fantastic. The lovely tents on wooden platforms under the trees next to the river are sooo romantic. We found paradise. THANK YOU!!!!" "Our only regret was that we could not stay longer. It was the most relaxing experience in the middle of the bush, Ann and Dorian are wonderfulhosts and give you the feeling of a very warm welcome. Beautiful evenings after adventurous game drives and walks and we met the nicest people ever. We will come again as soon as possible"